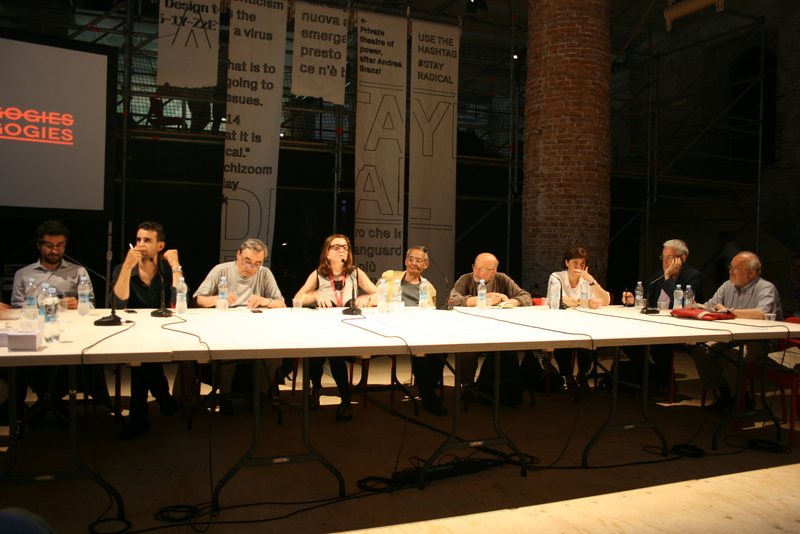 On Thursday June the 5h 2014, the 14th Biennial was officially kicked off with a press conference presided by Rem Koolhaas, the curator and director and Paolo Baratta, president of La Biennale di Venezia. 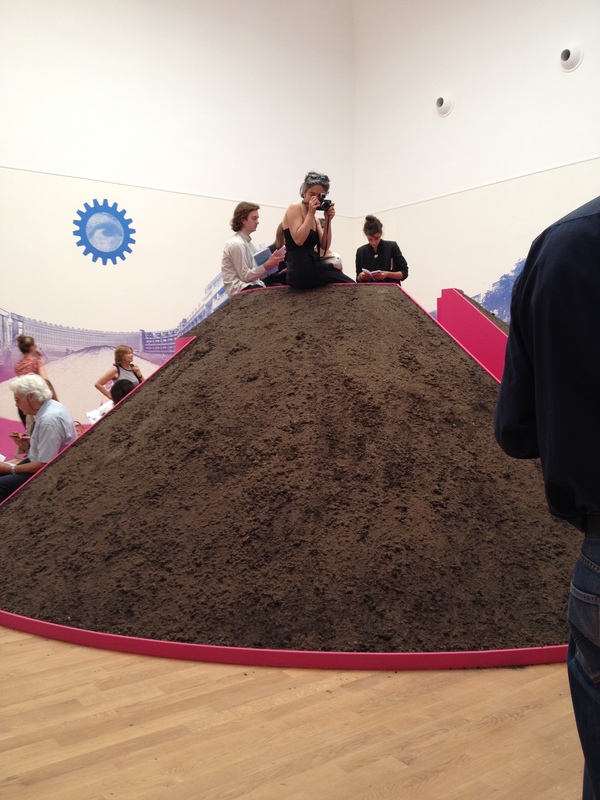 This year’s Biennale and theme differs from previous years in a few aspects. It has been named by the organizers a Research Biennale (http://www.labiennale.org/en/architecture/exhibition/baratta/), focusing on architecture rather then architects and the study of the field rather then the display of artifacts. These differences are threefold. The curator Koolhaas had more time, two years instead of the usual one; there was a clear theme proposed for the national pavilions; and the Biennale of Architecture invited the other Biennales––Music, Film, Dance and Theatre––to participate in the show directly and also to make use of the facilities for their own activities. 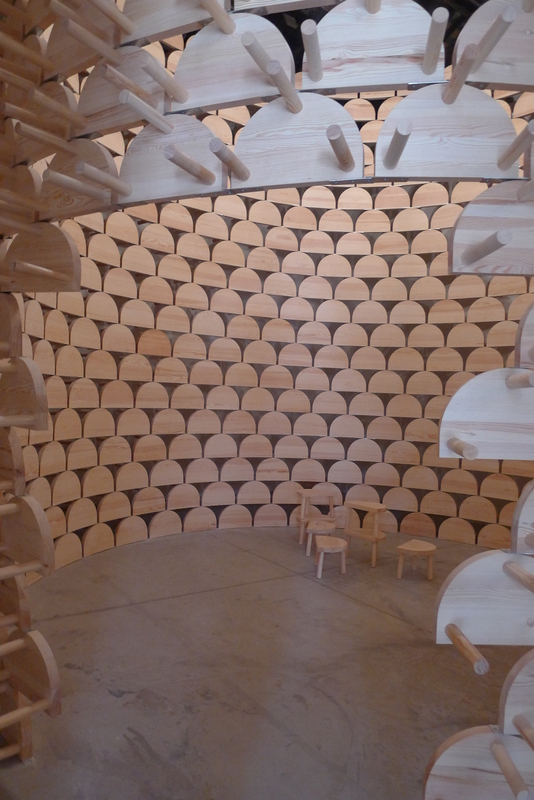 The period has also been extended to equal its sister Biennale (Art) to 6 months and the opening time in the weekend extended to 8 instead of 6pm. The countries participating have increased in number and are now 65 instead of 55 (new entries are: Ivory Coast, Costa Rica, Dominican republic, Kenya, Turkey, New Zealand, The Emirates, Indonesia, Mozambique and Azerbaijan). 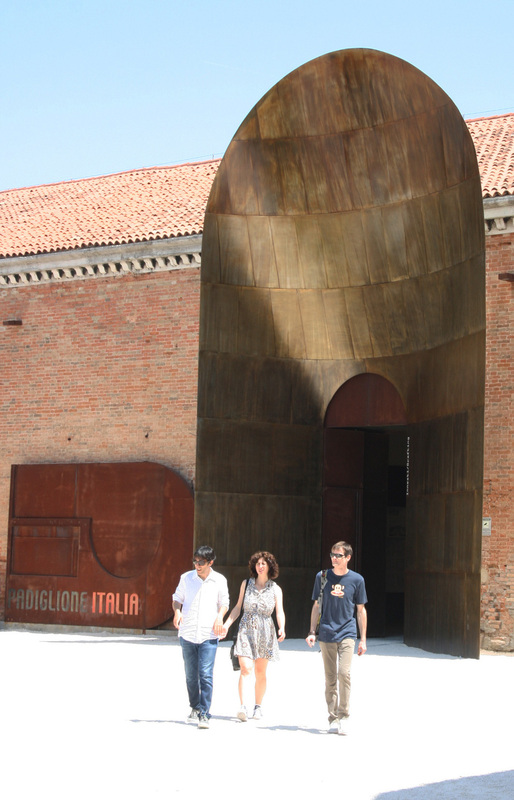 Now there are as many national pavilions in the Arsenale as there are in the Giardini. 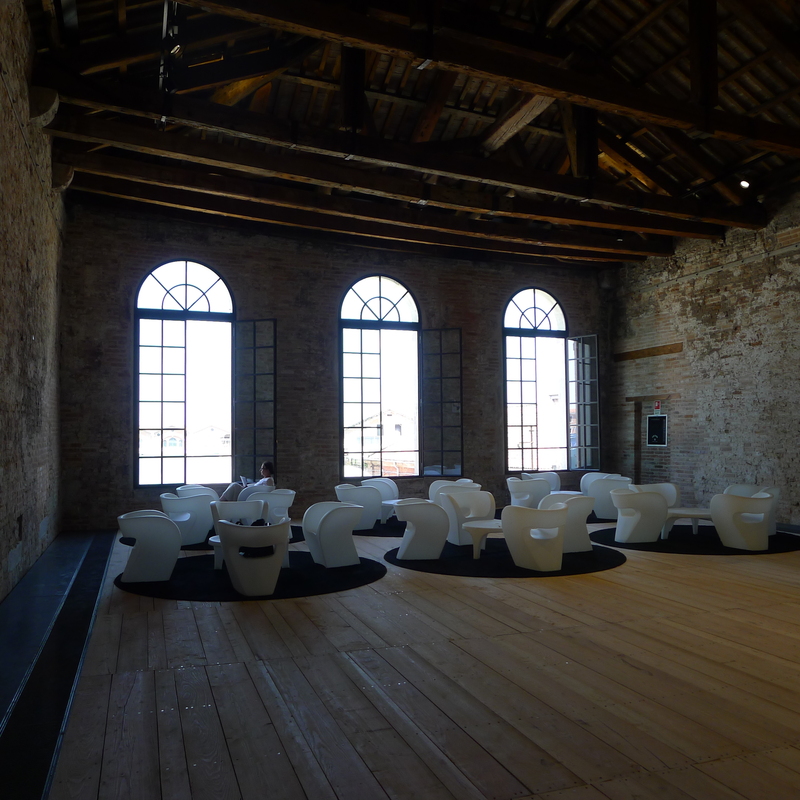 In the Corderie in the Arsenale about 3000m2 have been renovated to accommodate this addition, and they are well worth visiting. 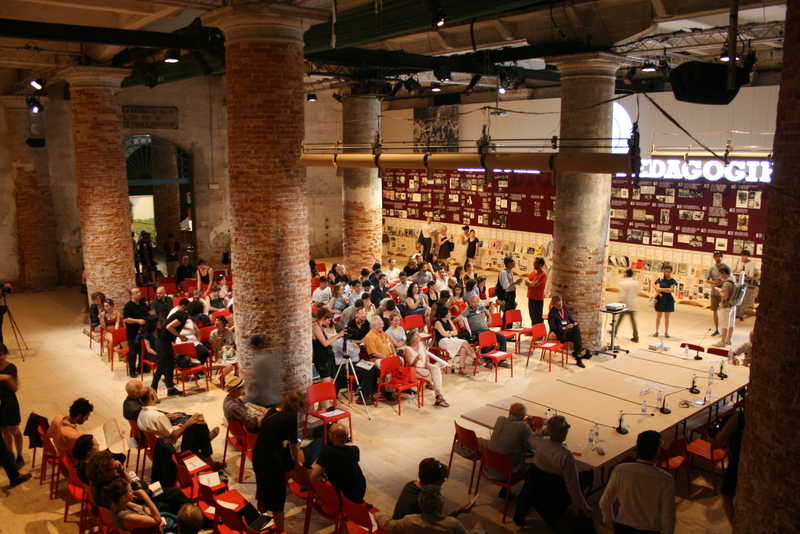 It being a Research Biennale, Rem Koolhaas has involved several Universities (Harvard, Yale, MIT, Princeton, TUDelft and TUEindhoven) in the making of the exhibitions, as well as offering space (for workshops and lectures) in the Arsenale to Architectural schools all over the world to be able to use the Biennale actively in the curriculum. 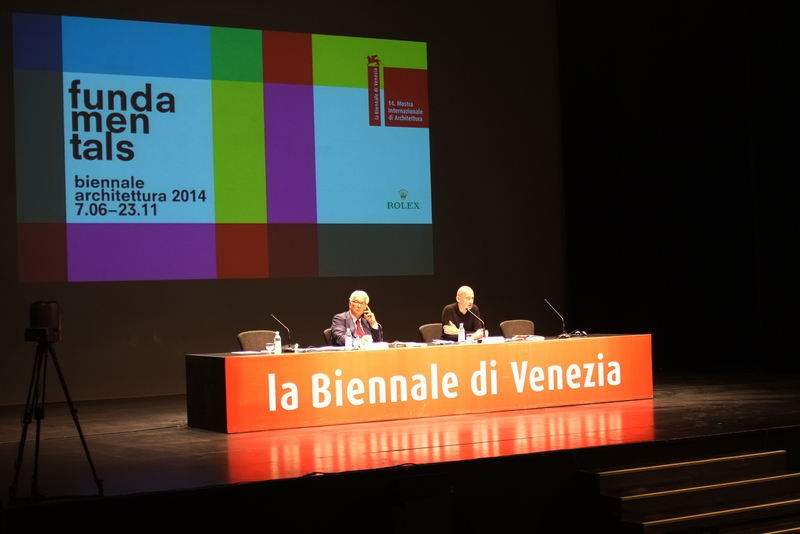 The programme of the Biennale will continue throughout the period of the show. The organizers/curators of the national pavilions will take part in 17 so-called Weekend Specials and Freeports where they can present their work, debates and seminars. 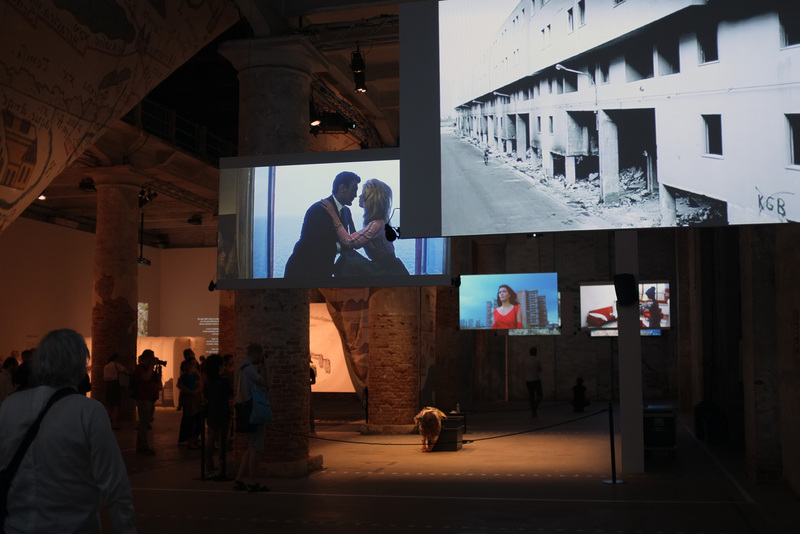 Events and educational activities from the Biennales of Dance, Music, Film and theatre will take place and are made more accessable by the prolonged entrance hours (more information on the events are on the Biennale Website: http://www.labiennale.org/en/architecture/exhibition/weekend-specials/). 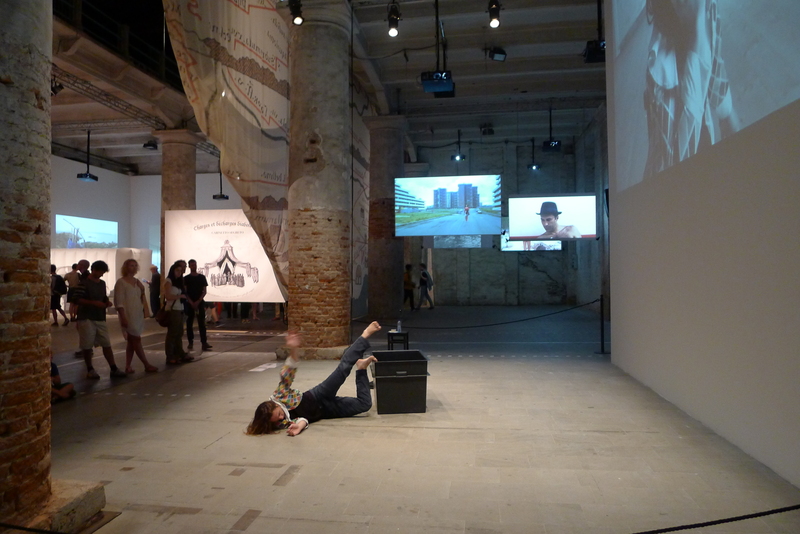 The many films shown in part as a part of Monditalia will be projected in full on Fridays and Saturdays. 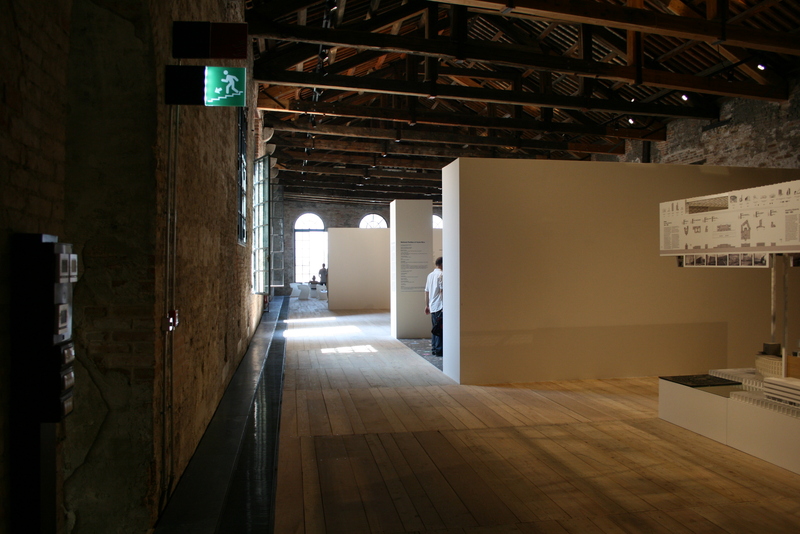 The intensification of activities in the Arsenale has also been made possible with a new ventilation system, as those who have been there in the summer may remember, it is a notoriously hot and humid area!